If you are a welder, you have been burned. Where some see it as an every day hazard or just part of the job, wouldn't it be better to be comfortable without worrying about being injured? 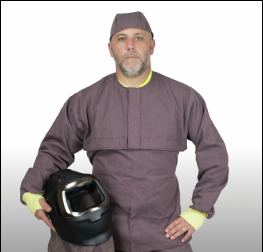 ​Join the many who have found a way to weld at their best while wearing our IFR Barrweld™ Garments. From head to toe, Rusty is wearing popular Tri-Star Glove garments. 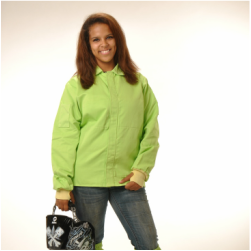 Dani is a third-generation welder wearing a Tri-Star Glove jacket with Barrweld™ in lime green. 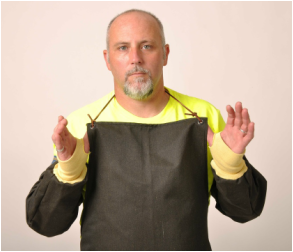 Tri-Star Glove makes aprons, sleeves, and speciality items such as heat shields and shrouds.